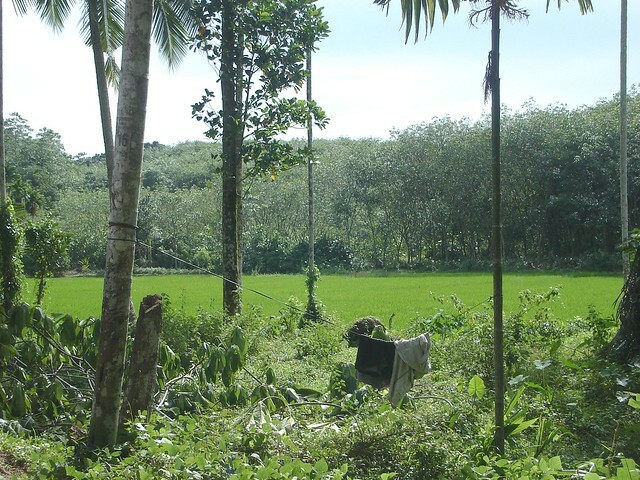 Land is an important aspect of rural Sri Lankan life, both as an asset and as part of a lifestyle. Often passed down through generations, families have close links to their inherited lands, and place much cultural, social and economic significance on them. Therefore, when the Southern Highway in Sri Lanka was constructed, it had a large impact on the people who lost their land to it. Apart from losing their homes, people also lost their ancestral lands and their incomes. Be it large scale agriculture, small scale cottage industries or subsistence level home gardening, land is often productively used as a main source or supplementary income for rural families. This article will take a closer look at agricultural lands, how people used them and how their loss affected them. The characteristics of a piece of land, sometimes irrespective of its size, determine what you can do with it and what livelihood choices it affords you. Where it is situated, the terrain, the tenure pattern, its proximity to your home and networks, and the resources around it all factor into how you can use it. Land with features suitable for specific livelihoods are often in limited supply and may take generations to build and develop. Losing it overnight, therefore, is difficult, and rebuilding is a long, disruptive process which can push those affected by it in to poverty. Another, often unrecognized, aspect of rural land is the quality of life it affords you. Large gardens, space for domesticated animals, community spaces, and fresh air are all things we take for granted, until they are gone. The loss of these intangible things also contributed to make the displacement difficult for people. When, for example, a dam is constructed, land acquisition is concentrated in one area. The construction of a highway is different in that it links several provinces and cuts across different geographic settings. The Southern Highway linked the Western Province to the Southern Province, over 128km in length, and impacted landowners in both urban and rural settings. Different types of land were acquired for the road; house plots, commercial, agricultural, marshy and non productive land as well as natural resources such as waterways and forested land. With the aim of minimizing house displacements the trace for the expressway was deliberately built over lands with fewer structures. 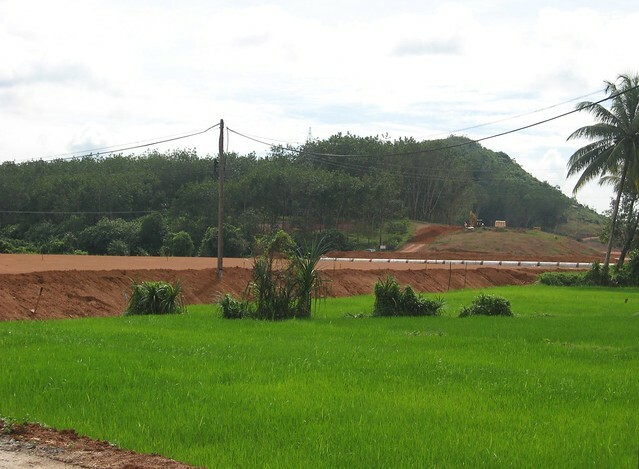 As a result, about 75% of the land acquired for the project was agricultural land, a large proportion of which was paddy land, marshy, low level lands on which rice is cultivated. 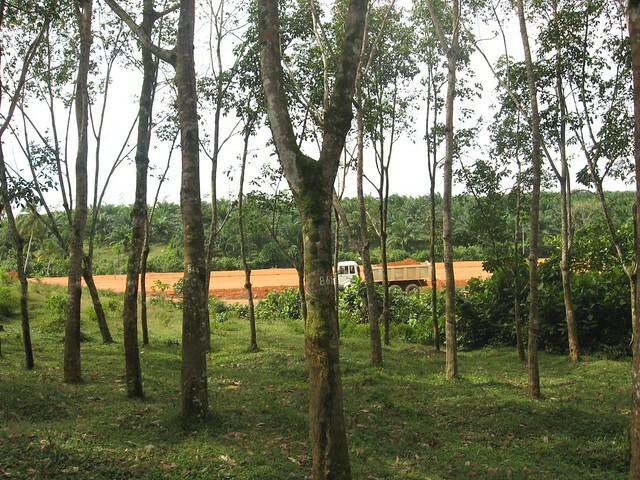 The agricultural lands also included land with commercial crops, such as tea, rubber and cinnamon. A small number of commercial plots were also acquired, which included land belonging to large scale industries such as soap, cement and granite quarries, to medium enterprises like coir factories, down to small scale cottage industries. All these land acquisitions affected the livelihoods of those working in and around these plots of land. An often forgotten group in the land acquisition was those who lost jobs when their place of employment was disrupted. This included employees in enterprises, wage laborers who worked on agricultural lands and tenant paddy farmers. The acquisition of land for the highway affected all these groups in different ways. Of all these, it can be argued that the group that suffered most were the rice farmers and others who engaged in subsistence agriculture. Rice is the staple diet in Sri Lanka, and is cultivated across 70% of the country’s land. About three fourths of this cultivation takes place in the dry zone, which has favorable weather conditions for the crop. The cultivation of paddy provides the primary income source for a majority of the population in the dry zone. The remaining one fourth of paddy lands is found in the wet zone, including in the area where the highway was constructed. Although the weather conditions do not always favor cultivation, the owners of paddy lands continue with the cultivation of rice for their own consumption rather than for income purposes. Paddy farmers can be broadly categorized into two groups: land owning famers and tenant farmers. While their lifestyles and livelihoods were very similar, the way they accessed land was different. The majority of those who lost their lands were land owning farmers. Their lands were mostly those which had been passed down through their family for generations, and the cultivation and care of these lands were a source of great pride to them. The tenant farmers, who were a much smaller group, were those who cultivated paddy on land owned by someone else, on rent or on a usage/harvest sharing agreement. After the acquisition of the land for the highway, however, both these groups faced similar difficulties. The Road Development Authority (RDA) which implemented the project began acquiring lands from these families from around 2000 and the process was completed by 2006. Within this time, the farmers had to relocate and replace either their home or their livelihood or both. As you can imagine, this was a difficult period for the farmers, further complicated by the need to find an income, negotiate their compensation, take care of the safety and wellbeing of their families and so on. The compensation process itself resulted in a range of difficulties. The compensation given for these wet zone paddy lands was very low (less than USD 10 per perch) as they were regarded as less profitable under the existing valuation principles in Sri Lanka. The total compensation paid for 70% of the agricultural lands (which includes a majority of paddy land) was less than Rs. 100,000 ($784). Further, because they were mostly hereditary, paddy lands had shared ownership. When the compensation was divided among the shared owners the individual share was even lower and was not substantial enough to purchase new land. As a result of the low compensation, close to 90% of the paddy farmers did not replace their acquired paddy land and became the group worst affected by the project. Most of the farmers were also elderly, and restarting from scratch was too big a task for them, both physically and mentally. While some shifted to alternative income methods, such as home based grocery shops, others became increasingly dependent on their children and relatives. Given their age and skills, this is a particularly vulnerable group that is now reliant on welfare and assistance from their children. Cumulatively, all these factors resulted in families spending their compensation money not on replacing their land and livelihoods, but on other items like televisions and refrigerators. The fact that aspects such as self sustainability and satisfaction could not be monetized was a great disadvantage to the paddy farmers. Here was a set of farmers who valued the quality of their own rice and took pride in being self sufficient. Being small scale farmers, they used traditional cultivation methods with minimum chemical input and often experimented with different cultivation methods in their small plots. The loss of this lifestyle was also felt strongly on their pockets, as the amount they had to spend on food increased. Not being able to eat the rice they grew or step out in to their gardens and harvest home grown vegetables for lunch meant higher spending on these items. Coupled with the need to now find new employment or restart their business, this meant resuming their normal lives was harder. The important relationship between land and livelihoods cannot be overstated, as shown in the cases above. 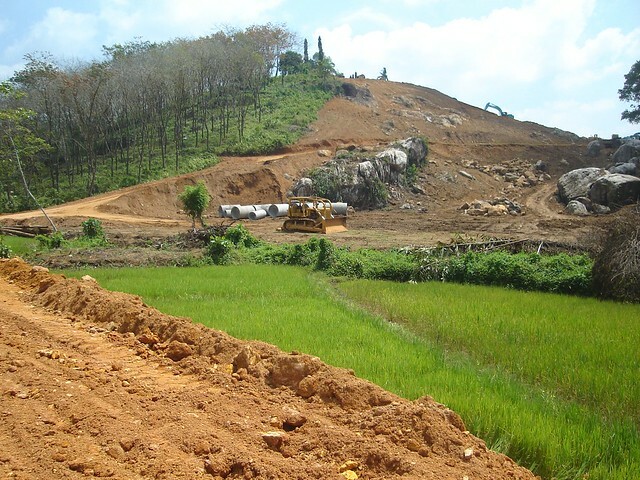 The Southern Highway, as the first of its kind in Sri Lanka, presents unique lessons for resettlement planners because of the large scale disruption it caused to livelihoods, and how these issues were subsequently dealt with. It highlighted the various angles that need to be considered when compensating people for their land and the need to include them as stakeholders in the process. It also recognized the limits of monetary compensation; people had ties to their land and surroundings that were invaluable. These lessons are important as Sri Lanka moves forward with its post-war development, which is highly infrastructure-driven, to ensure that people who give up their rights to their land are not left behind. This post is part of a series on Sri Lanka’s first expressway. The information presented in this blog post is based on the findings of the Independent External Monitoring of the Resettlement Activities of the Southern Transport Development Project, which was carried out by the Centre for Poverty Analysis (CEPA), Colombo, Sri Lanka. The monitoring was funded by the Asian Development Bank under TA TA 4748 SRI and was conducted over four years 2006-2010. The names given in quotes have been changed to protect anonymity of the respondents. Mansi Kumarasiri and Tehani Ariyaratne are researchers attached to CEPA. Mansi was a team member of the study and development induced displacement and resettlement is one of her key research interests. Tehani is a member of the communications and policy team with a focus on alternative communications and gender research. All photos in this post were taken by CEPA staff. For more information, view the short documentary and publication that accompany the research.